The Singapore LTA has announced plans to de-safeguard land previously earmarked for the Singapore Underground Road System (SURS), noting the city’s shift towards a car-lite society. The SURS was conceptualised in the late 1980s as a 15km long underground arterial ring road system around the fringe of the city, to cater to potential traffic growth into and out of the city centre. Land along the SURS alignment was originally safeguarded in 1993, but the LTA said in a statement, “Enhancements to our public transport network and changes in land use policies have removed the need for SURS. The city centre is well-served by a comprehensive public transport network and the full opening of the Downtown Line on 21 October this year will further improve public transport connectivity. 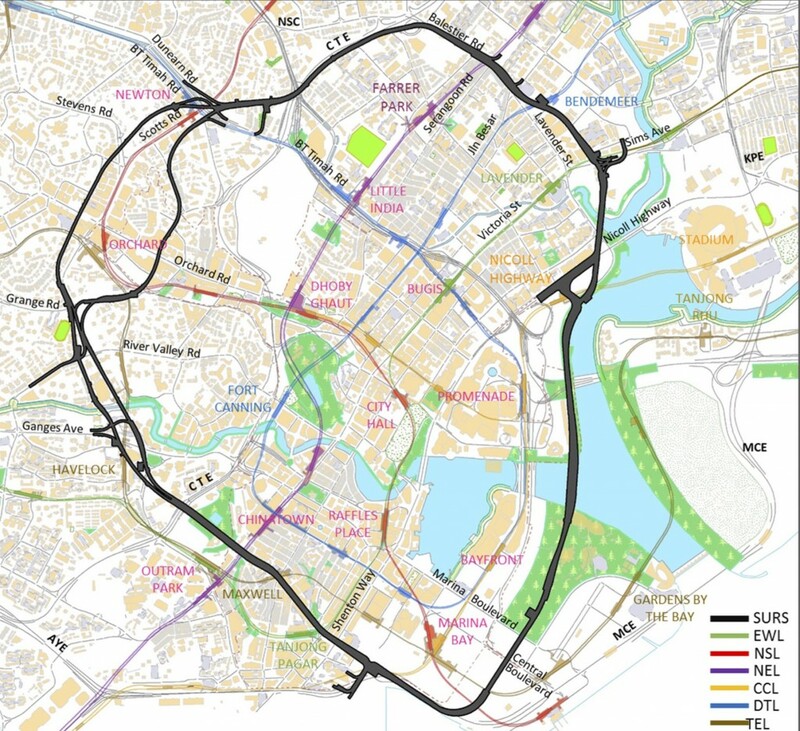 “When completed in 2024, the Thomson-East Coast Line will connect commuters in the northern and eastern parts of Singapore to the heart of the city, while Circle Line Stage 6 will close the loop for the Circle Line by around 2025. As part of Singapore’s polycentric development strategy, its Government has been growing more commercial centres in different regions outside the city, bringing employment and amenities closer to homes, thereby reducing the need for travel into and out of the city centre. With the SURS no longer needed, the LTA added, land which had been safeguarded for SURS will be de-safeguarded, giving previously affected land owners greater flexibility in their development plans.